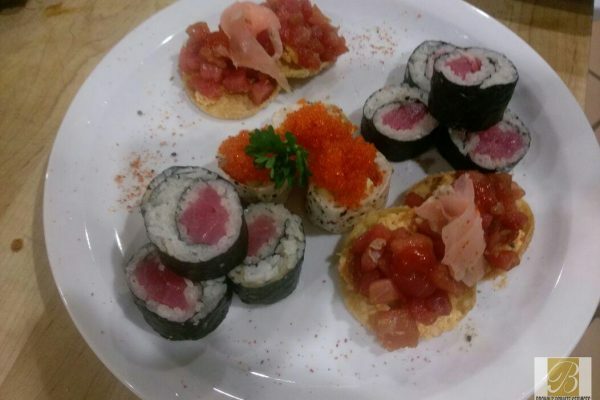 -Artisan Mexican sweet rolls, fresh fruit Served with yogurt and granola chilaquiles with the traditional recipe of the house in guajillo sauce or green Served with grilled chicken and refried black beans. 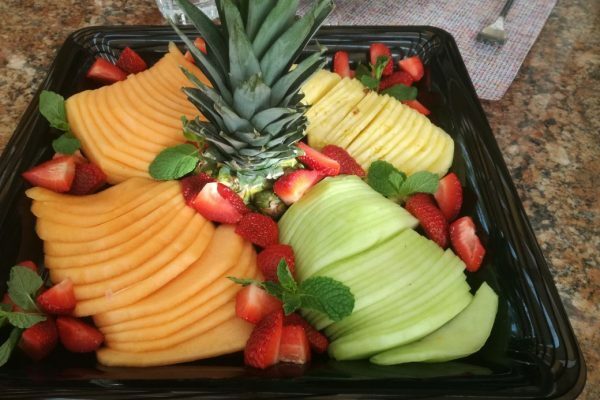 -Hot cakes with seasonal fruit compote Served with fresh fruit. -Burritos de machaca (homemade flour tortilla, stuffed with local cheese, scrambled egg and machaca from Miraflores). -Served with refried bean Mexican sauce and spicy creamy sauce. -Glazed french bread, delicious recipe of the house, Served with maple syrup. -Huevos rancheros (fried eggs bathed in a thick red sauce with chorizo) Served with refried black beans, potatoes and epazote. -Delicious Muessli with green apple, banana, pear, Greek yogurt and honey from the region. -Craft Salty crepe Served with (scrambled egg with tomato, bacon and Gouda cheese) Served with chaparay potatoes and a small mixed salad. 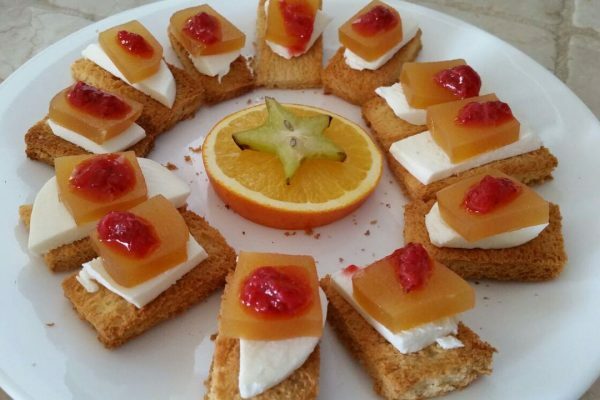 -Toasted whole meal bread with a red fruit jam. -Egg whites Omelet (with spinach, onion, peppers and fresh cheese) served with confit tomatoes. 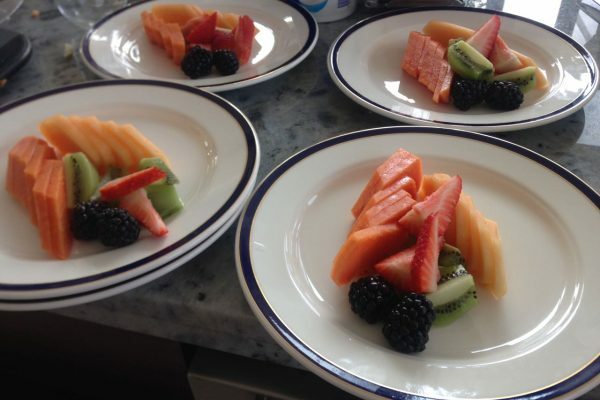 -Traditional hot cakes Served with a fresh fruit Timbale. -Benedict eggs (English bread, Canadian ham, and poached egg dipped in the delicious hollandaise sauce with special chef recipe. -Served with potatoes, fine herbs and a small arugula salad. 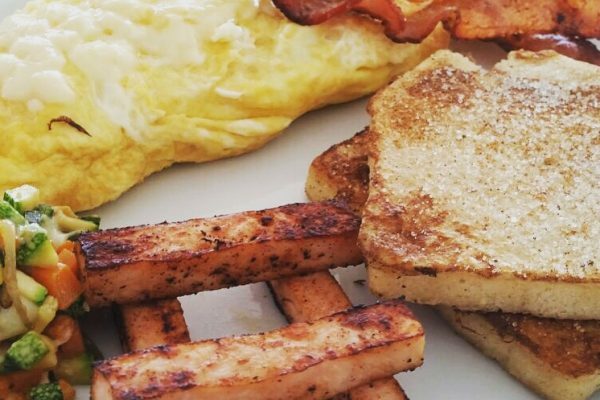 -Hot cakes with sauteed banana. -Choose your omelette (egg omelet with your choice of ingredient – bacon, ham, tomato, onion, peppers, spinach). -Served with Farm potatoes and rajas poblanas. -Green salad lettuce from the garden cucumber, pumpkin, pepper) lemon vinaigrette BBQ ribs (delicious pork baby ribs bathed in the original BBQ sauce). -With roasted corn and seasoned potato. 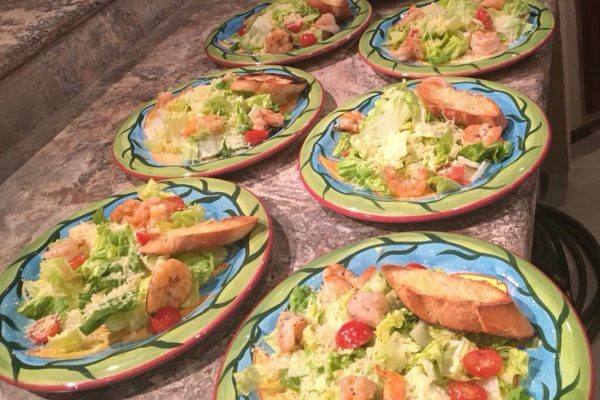 -Caesar salad (long lettuces, parmesan cheese, croutons. -Catch of the day in citrus sauce served with spring rice and grilled vegetables. -Beef or chicken burgers with cheddar cheese Served with natural fries onion rings and citrus salad. -Flank Steak, chicken or grilled fish tacos Served with rice beans, hot sauces, Mexican sauce, guacamole, cream tortilla chips and a Cole salad. -Traditional pork “Carnitas Michoacán” style served with creamy sauces, Mexican guacamole, and authentic charro beans & rice. -Grilled chicken marinated with the chefs recipe garnished with organic salad, potato puree and grilled vegetables. -Mini crispy chicken taquitos with sour cream, lettuce, cotija cheese, spicy sauce. Fried pumpkin seeds, Fresh cheese, coriander and chipotle vinaigrette. Traditional flan with coffee sauce. 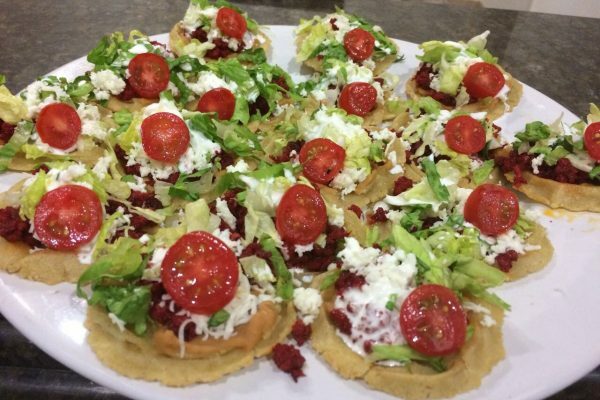 -Mini chorizo sopes accompanied by refried beans, lettuce, cream and cotija cheese. -Tortilla Soup: Fried tortilla Julianas, guajillo chile rings, panela cheese, avocado, sour cream. -Arrachera in mushroom sauce and a touch of epazote. 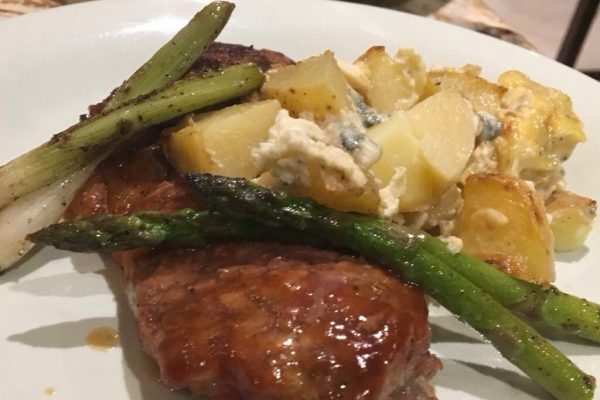 -Served with mashed potatoes, roasted garlic, asparagus and caramelized cambray onions. -Brownie with a mirror of mole sauce and crispy fried plantain. -Mini taquitos of carnitas accompanied by a creamy sauce of avocado and jalapeno. -Caesar salad: Parmesan cheese ring, long lettuce, garlic croutons and home-made cesar dressing. -Mixed fajitas (chicken and beef) served with rice, refried black beans, guacamole, Mexican and different hot sauces, sour cream, corn and flour tortillas. -Special recipe of Churros with chocolate sauce. -Handmade quesadillas with poblano, panela cheese and epazote. -Grilled chicken and shrimp fajitas. -Refried beans, tortiliTc7ips, Mexican rice, guacamole, Mexican sauce, red and green sauce, sour cream. -Corn ice cream with cajeta sauce. -Mushroom soup with garlic, accompanied by a crunchy thin herbs. -Flank steak with poblano mole Enchilada of the house. -Ceviche of black fish and radish. -Fresh mixed lettuce leaves (with organic tomato, olives, goat cheese) mustard vinaigrette. -Catch of the day (with a crust of parmesan herbs and real lemon) served with mashed potatoes with spinach and baby vegetables). -Mango mousse and a delicious coconut sauce. -Puff pastry filled with marinated beef accompanied by creamy tomatillo sauce. -Arugula salad (green apple, caramelized walnut, purple onion, goat cheese pearls, dehydrated tomato). -Rib Eye with traditional chimichurri. -Baked potatoes with a cream bacon parsley and garlic roasted asparagus. -Tomato and panela bruschetta with garlic and basil oil. 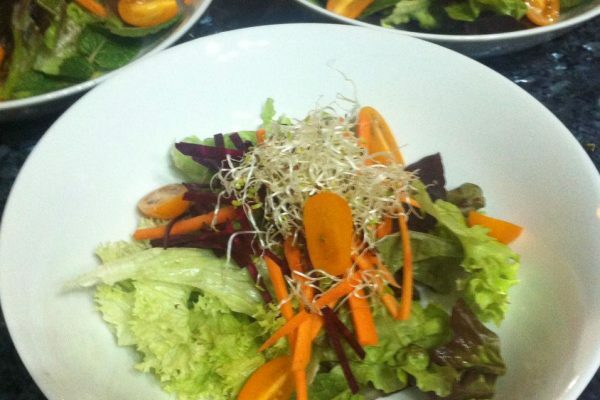 -Organic green salad with feta cheese marinated in fine herbs and basil vinaigrette. -Grilled lobster tail with a real lemon sauce minion fillet in Dijon mustard sauce,wild rice with nuts and vegetables sautéed from the garden. -Chocolate cake with strawberry and chipotle sauce. 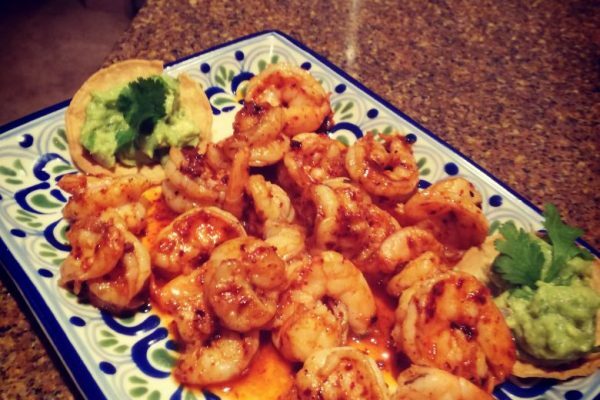 -Shrimp ceviche in pasilla chile sauce. -Bass fillet of fish (garlic, garlic, white wine). -Wild rice with walnuts and glazed organic vegetables. -Hacha scallops with green apple. -Shrimp bisque with a touch of fresh pesto and a crunchy with parsley oil. -Grilled jumbo shrimp with chefs sauce Risotto with mushrooms and creamy spinach. -Three milks pie accompanied by red fruit coulis. 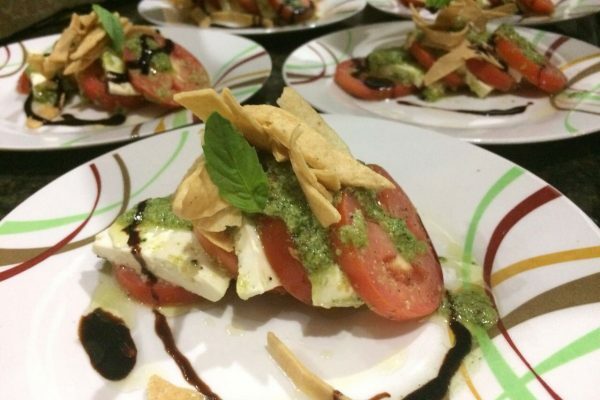 -Tower of tomato and panela cheese bathed in a fresh pesto and balsamic reduction. 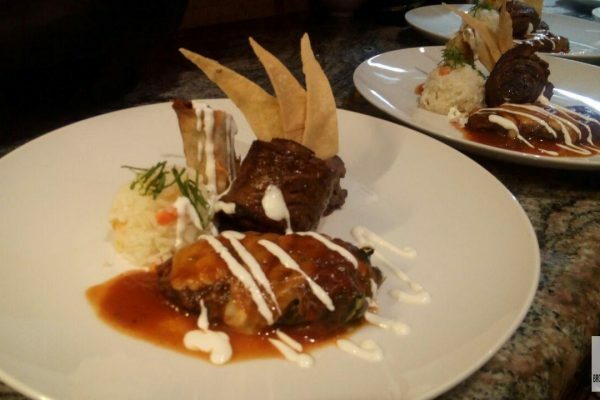 -Beef fillet in sweet pasilla chili sauce and red wine, fish fillet in Veracruz sauce Eggplant puree and mushrooms sautéed in garlic. -Brownie with baileys ice cream. 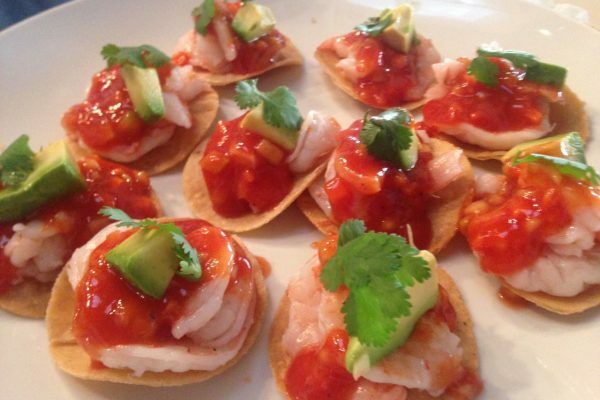 -Tortilla soup served with fried tortilla julienne, panela cheese, avocado squares and guajillo chile rings. -Scallops of chicken breast bathed with a traditional Oaxaca mole and sautéed sesame seeds Mexican rice and nopal and roasted fresh cheese. -Crepes filled with apple or banana compote served with vanilla ice cream. -Vietnamese rolls with soy sauce. 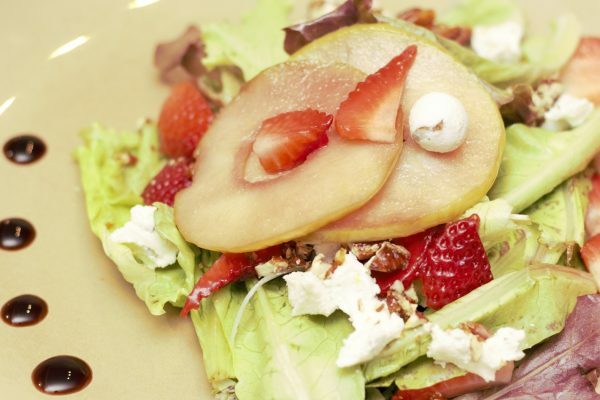 -Brown salad: baby spinach, strawberry slices, pear sautéed in red wine, caramelized walnut, dehydrated tomatoes, gorgonzola cheese and orange vinaigrette. -Lamb ribs with peanut and rosemary crust. -Served with oven baked potato and grilled vegetables. -Banana ice cream with sweet potato crisps. -Fish ceviche with mango on a crispy jicama toast. -Vol au vent, filled with a seafood mix, Served with a creamy sauce of chipotle and basil oil. -Tuna blackened in soy sauce and sesame oil with a lemon twist Wild rice and a salad of organic lettuces. -Poblano chile stuffed with vegetables wrapped puff pastry bathed in a tomato and basil sauce. -Battered plantains stuffed with fresh cheese served with sautéed rice and broccoli. -Eggplant stuffed with ricotta and mushrooms sautéed with garlic Served with dehydrated tomatoes with basil and chili oil.